you can count on our support. We love founders with passion, grit, and determination. We want to be the first investor to fund you and we want to help you go all the way. education to talents and prepare them for a thriving career in the startup land. the largest of its kind in Asia. 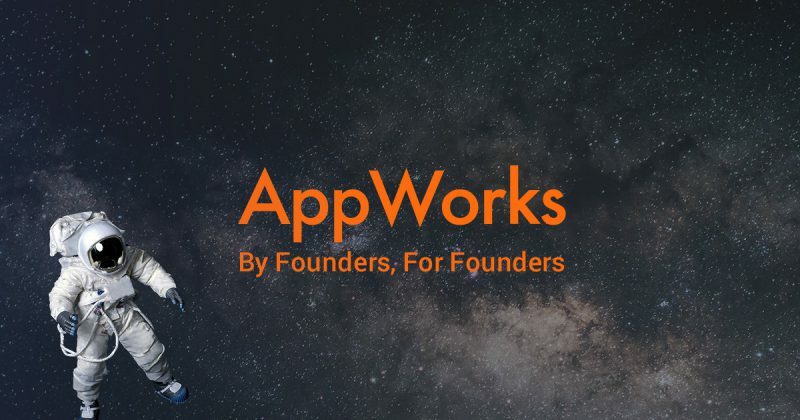 AppWorks can go from a US$200K seed round all the way to leading with $5 million into a B round. As one of the most active early-stage VCs in Greater Southeast Asia, we invest in 10-15 deals a year. AppWorks School aims to provide the most practical training for those who are determined to become a software developer. Among our 106 graduates, 91 of them became software engineers and joined Internet Companies like KKBOX, 91APP, Tagtoo, Line TV, UDN Shopping, WeMo Scooter, Gogoro to start their promising career. Click here to check AppWorks 2018 Year In Review!